If you have a massive user list of 20 or more employees or customers and you need each of them to have an email/network account through MS Exchange 2007/2010 then I can create them within 24 hours. 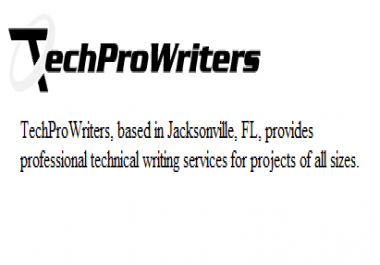 Do you have technical documentation that is outdated and need new content added due to a software or hardware upgrade? I can update that document by proofreading and revising it the way you need within 48 hours.